Thanksgiving Day is a time to be with friends, family, and football. However, despite the tendency to stay in to eat and socialize, you may find the need to suddenly find an open business on this holiday. It may be you forgot the yams, or maybe you're not close to any family and just need a good bar to find some conversation. Whatever your reason, it's possible to get lucky with some Sacramento businesses that stay open on Thanksgiving Day. Since food is usually the reason people head out on Thanksgiving, the majority of Sacramento grocery stores do stay open with limited hours. Savemart is open along with most Safeway's operating with competing hours. Raley's traditionally stays closed on Thanksgiving but stays open late the evening prior. Of course, before visiting any grocery store it is helpful to call and check their hours. Decisions vary annually and are usually at the discretion of the store manager, though some are subject to a corporate office that determines which locations should operate during the holiday. 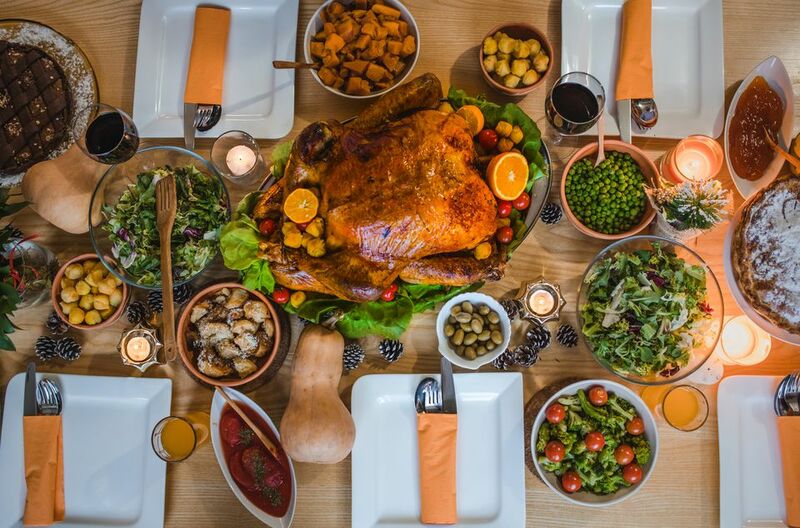 If the turkey burns or no one even feels like trying to cook this year, there are plenty of restaurants open on Thanksgiving Day in Sacramento. Black Angus in Citrus Heights is serving up a 3-course Thanksgiving feast for a flat price. Kids are half price and the regular dinner menu is also available. Formaggio Taverna at the Sacramento Marriott in Rancho Cordova is the perfect home away from home for those traveling during Thanksgiving. Their buffet and entrees include turkey, prime rib and salmon. The Firehouse in Sacramento serves up fine dining that makes for a perfect fancy holiday dinner. Reservations are strongly recommended. Vines at the Hyatt Regency in Sacramento has a Thanksgiving brunch from 11am-3pm. However, it must be reserved in advance and is a bit pricey. Just like grocery stores in Sacramento, retail shops should be contacted directly to confirm their hours. However, rumor has it these businesses will be up and running on Thanksgiving. It seems to be an annual rule that only big box retailers tend to stay open on the holiday. If you're hoping to visit your favorite boutique or locally owned shop, you'll likely need to wait until Black Friday. Sears: A couple of years ago, Sears operated from 7 am to noon on Thanksgiving, the first time the over 100-year-old business ever welcomed customers on the holiday. It has continued to take advantage of those early shoppers in subsequent years. Toys R Us: Toy stores are usually at the top of many people's Black Friday shopping lists, but now you can get an even earlier jump on those new video game systems and other must-have amusements by heading over on Thanksgiving night. Walmart: Never count out Walmart when it comes to extended hours. Their Supercenters will be open 24 hours as usual on Thanksgiving, with regular stores opening at midnight. Your local Walmart Supercenter, like the one in Antelope, is also a great option if you can't find an open grocery store. While most independently run businesses will not be operating on Thanksgiving Day, it never hurts to check. Even smaller shops sometimes jump in to take advantage of Black Friday shoppers' enthusiasm during those late evening hours of the holiday. Of course, there will be places open for Thanksgiving that exist to serve those less fortunate. Places like the Sacramento Loaves & Fishes will be providing Thanksgiving dinner to over 1000 people. Many Sacramento residents are aware of the various food banks and shelters that make sure those less fortunate receive a Thanksgiving feast, but where do the resources come from? These places run solely on donations - so if you are looking for somewhere to go on Thanksgiving Day, consider dropping by a donation or lending a helping hand at many of the local shelters. You can also request a specific list from your chosen organization.